Huh Young-man (64), a major South Korean cartoonist, has decided to donate his works to a cartoon museum in Bucheon, Gyeonggi Province. The cartoon museum within Korea Manhwa Contents Agency will now gain possession of 150,000 copies of Huh’s cartoons which are the products of 37 years of work. These account to about 1,000 separate cartoon pieces. The works entrusted to the museum include “Spider Silk (1981),” “Oh! 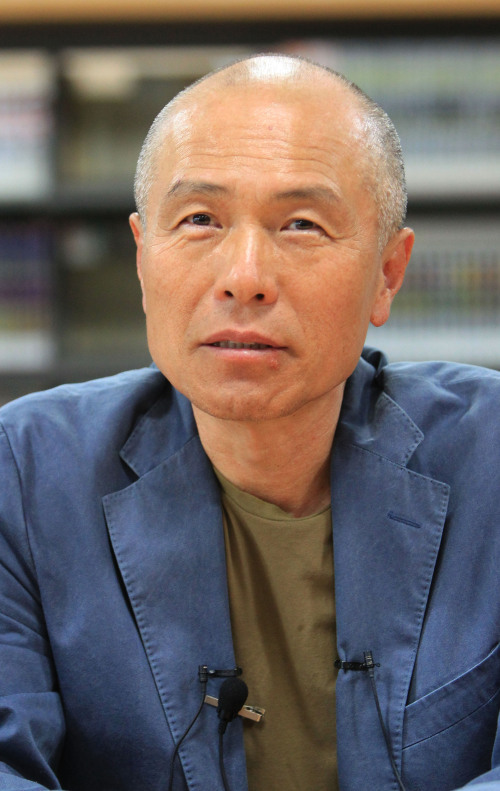 Han River (1987),” “Superboard (1990),” “Tazza (2000)” and “Gourmet (Sikgaek) (2003).” Except for works that have disappeared, all of Huh’s works ― from his debut pieces to the recent hit series ― will be entrusted to the museum to be managed. Huh’s works have been recognized for their literary value and have gained wide popularity among the public. Some of them, “Gourmet,” “Tazza,” and “Beat,” have been made into TV series and adapted into film after their publication in local dailies. Hand-drawn copies of Huh’s cartoons, now waiting to be handed over, have been stored until recently in 50 boxes made of paulownia tree for humidity control. Huh decided to hand his works over to the Korea Manhwa Contents Agency for management as maintaining the temperature and humidity became difficult in a confined work space. The cartoon museum which will take over the management of Huh’s works currently stores about 60,000 hand-drawn copies of cartoons and about 10,000 cartoon-related books and documents. The Korea Manhwa Contents Agency has been collecting valuable cartoon works for the past 13 years. Huh is the first living cartoonist to have entrusted his works to the museum.